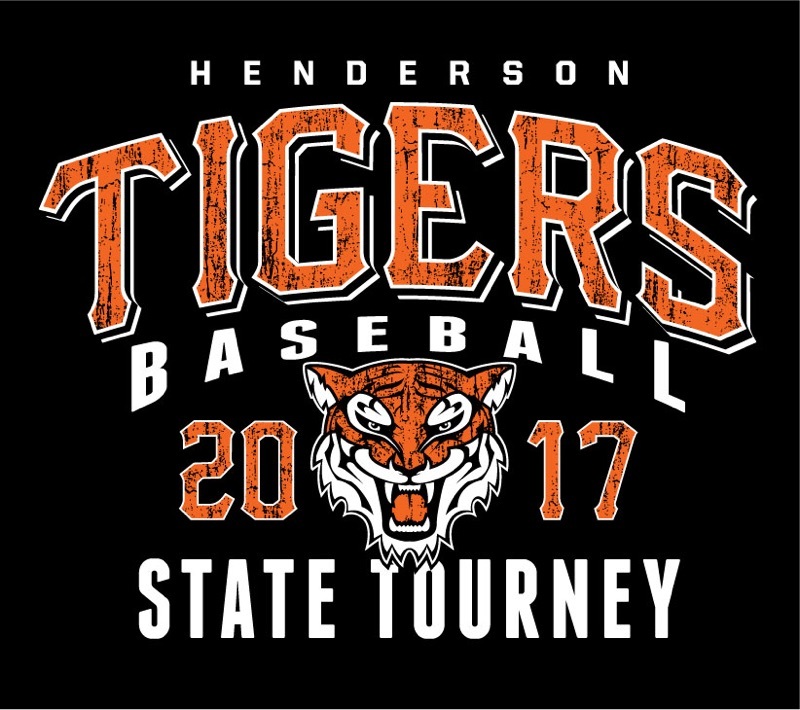 Register Log In Henderson, MN Forums Henderson Tigers Town Team Baseball Tigers State Tourney T-shirts - now on sale! The Henderson Tigers Baseball Team will make it's first appearance in the State Tournament since 1932. To commemorate this achievement, official T-shirts are now on sale at Henderson Wine & Spirits. Go Tigers! About 40 left of the first 100-limited supply of the 100% poly and about 40 of the 50% cotton/50% poly available at Henderson Wine and Spirits today. $20 per shirt-cash or check to Henderson Baseball Association. 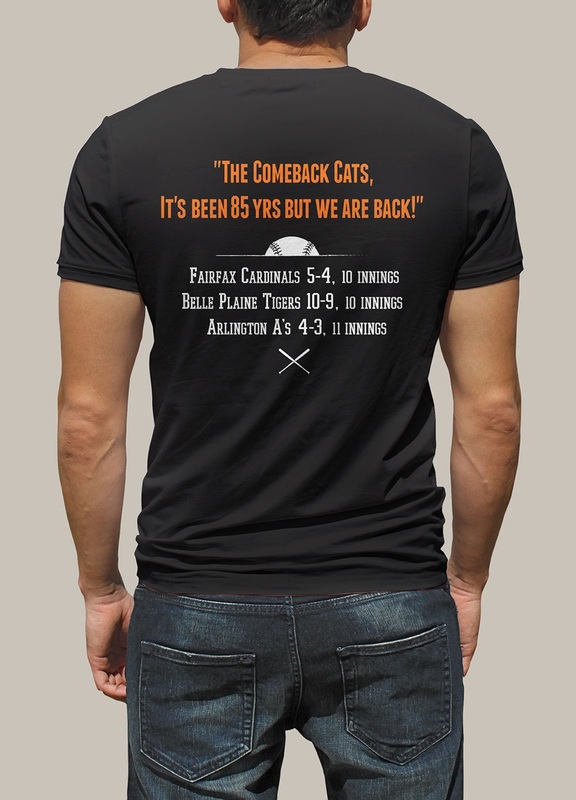 Second shipment expected later today and available at Hilltop Park starting at 630 P.M. tonight (Thursday). Last batch of state tourney shirts shipped and printed. Currently available at Henderson Wine and Spirits starting at 11 Am tomorrow (Friday). Maybe 40 total available right now-some 100% polyester; some 50% cotton and 50% polyester of mixed adult and youth sizes. $20 a shirt cash or check to Henderson Baseball Association. Last batch of Henderson Tiger state tourney shirts printed and delivered later Friday. Currently available at Henderson Wine and Spirits today-Saturday-maybe 35 total-some 100% polyester; some 50% cotton and 50% polyester of mixed adult and youth sizes. $20 a shirt cash or check to Henderson Baseball Association. Shirts available from Kiki Byrne in Hamburg at the game today!